We all know about 21 Savages immigration arrest. Even if 21's civil status remains in captive, authorities, ICE-included, have no jurisdiction over the rapper's assets. The only way ICE can freeze someone's assets whose status remains in limbo is if the "detained person" has committed an outlying crime - that is to say a crime unrelated to their immigration charges. 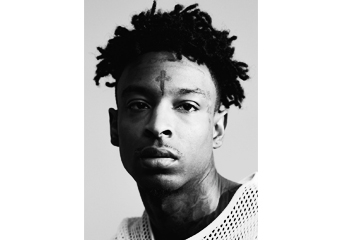 For all the reasons to fear the worst, the standard ICE-hearing leads to a bond ruling and a second deportation hearing on a later date in cases similar to 21 Savage. Hypothetically-speaking, 21 would have to be a flight risk or threat to his community for Government officials to receive the green light on his deportation - with immediate effect. His lawyer maintains that he tried in vain to apply for a VISA in 2017, but was rebuffed at the height of Donald Trump's crazy meltdown.